The idea that the Church of England wants to "apologise to Darwin" seems calculated - and perhaps it was - to annoy the Daily Mail. Certainly, the Mail on Sunday rose to the bait, claiming that the church was planning "officially" to apologise to the great biologist and rounding up some usual suspects - Ann Widdecombe among them - to "greet with derision" a move which the paper described as "bizarre". "Church officials" were deemed to have compared the move with the Catholic Church's decision a few years ago to pardon Galileo (allegedly despite the reservations of one Cardinal Ratzinger). Even Terry Sanderson of the NSS was quoted as saying that it seemed "rather crazy" to apologise to someone so long after his death. On the face of it the Church of England doesn't have much to apologise for. Indeed, if you take the view that Darwinian evolution strikes at the root of the traditional Christian world view, it must be admitted that the Church of England, at least in its official capacity, treated Darwin with remarkable forbearance. He was even buried in Westminster Abbey. Of course many Christians, at the time and since, have denounced Darwin's theory as the work of the devil. But they have not tended to be Anglican Christians. There's certainly no comparison with Galileo, who was officially denounced, condemned as a heretic, and forced to recant his outrageous suggestion that the earth revolved around the sun. If many Anglicans of Darwin's time resisted natural selection, it was less because of a perceived conflict with the Book of Genesis - unlike today's "Young Earth" creationists, most had already come to terms with the findings of geology - than because the theory threatened man's position as God's special and unique creation. Among Darwin's clerical opponents, the most prominent was the Bishop of Oxford, Sam Wilberforce, who famously took on Thomas Huxley in debate (he lost) and less famously, but more maliciously, intervened to prevent Darwin receiving a knighthood. Perhaps this is what the C of E wishes to apologise for. Not getting a knighthood, though, is not quite in the same league as what befell Galileo. And when he died, Darwin was eulogised from pulpits and in church magazines. In a sermon at Westminster Abbey, Canon Alfred Barry described natural selection as "by no means alien to the Christian religion" - as long as it was understood as operating "under the Divine Intelligence". Charles Darwin: 200 years from your birth, the Church of England owes you an apology for misunderstanding you and, by getting our first reaction wrong, encouraging others to misunderstand you still. We try to practice the old virtues of 'faith seeking understanding' and hope that makes some amends. Apart from the misleading suggestion that there was such a thing as a "first reaction" from the C of E this seems fairly unexceptionable, and certainly doesn't merit the excited reaction from the press. Though Brown, who is the church's "director of mission and public affairs" (I suppose that's churchspeak for spin-doctor) will no doubt be delighted by the attention. What, then, is really going on? But the struggle for your reputation is not over yet, and the problem is not just your religious opponents but those who falsely claim you in support of their own interests. Brown would seem to have two major aims. The first is to distance his church - and mainstream Christianity generally - from the manifest absurdity of creationism. The second is more ambitious, to reclaim Darwinism for God. As he also says, "if Darwin’s ideas once needed rescuing from religious defensiveness, they may also now need rescuing from some of the enthusiasts for his ideas." It may just be that Wilberforce and others glimpsed a murky image of how Darwin’s theories might be misappropriated and the harm they could do...From the social misapplication of Darwin’s theories has sprung insidious forms of racism and other forms of discrimination which are more horribly potent for having the appearance of scientific “truth” behind them. Darwin’s immense achievement was to develop a big theory which went a long way to explaining aspects of the world around us. But to treat it as an all-embracing theory of everything is to travesty Darwin’s work. Note the subtle implication towards the end of this extract. To treat Darwin's theory as "all-embracing" - in that it is capable of shedding light on many different phenomena - is not the same thing as using a crude notion of "survival of the fittest" as a blueprint for society. As he made plain in his recent TV series on the Genius of Darwin, Richard Dawkins is as opposed to "social Darwinism" as any Anglican bishop. What Brown's argument amounts here to is the usual claim that religion is essential for morality. Brown's essay forms only one of a number of articles and resources posted on the church's website to mark next year's Darwin anniversaries. There's also a statement from the Bishop of Swindon, a biologist and member of the Association of Ordained Scientists, who writes of his "conviction that scientific insights and Christian belief are meant to be companions not competitors". 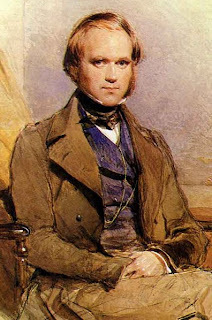 He notes that "anniversaries associated with the life, discoveries and writing of Charles Darwin will no doubt prompt many to take a different view." Many creationists, but also many atheists. The Church of England, now as ever committed to the via media, imagines its position as being a kind of third way between the Biblical literalism of the creationists and the hard-boiled atheism of Richard Dawkins. As such it can find itself assailed by both sides, and accused of inconsistency and doublethink. This leads to defensiveness, but also to frustration. One of my religious readers, Weeping Cross, complains in a comment that he finds it "absolutely infuriating" that media voices "expect Christians to be creationists, or at least to have some sort of intellectual sympathy with them." It's a widespread lament among Anglicans. One reason for the over-representation of creationism in public debate may be the peripheral place that Christianity now occupies in society: for those who don't know, and don't care, about the precise doctrines of the church, Christians can seem strange and baffling. And so creationism can sound like the sort of thing Christians ought to believe in. Added to that is the high profile of the American religious right, many members of which either believe in a six-day creation or at least allow themselves to be represented by ministers who do. Also, though - as Michael Reiss said the other day - creationism seems to be growing. In some ways the rise of creationism parallels the rise of the evangelical wing of the Church. Most evangelicals may not be creationists, but all creationists are evangelical. So, in a shrinking religious market, the church risks becoming a bolt-hole for fundamentalists in retreat from the modern world, stuck in a defiantly pre-scientific view of the world. Tis a dangerous thing to engage the authority of scripture in disputes about the natural world, in opposition to reason; lest time, which brings all things to light, should discover that to be evidently false which we had made scripture to assert... We are not to suppose that any truth concerning the natural world can be an enemy to religion, for truth cannot be an enemy to truth. God is not divided against himself. It's a lesson which the Church of England has had to re-learn many times. Creationists, on the other hand, still seem impervious to it. I would assume that because Christian churches are _SO_ quick to apologize, that by the year 2400 the Vatican should get around to apologizing for all the child-molesting. I notice you tend to avoid statements re: your personal views. Would you class yourself as agnostic, atheist, or indeed agnostic atheist? I'm just nosy. Really, Valdemar, if you haven't worked it out by now you haven't been paying attention. And I know you better than that!